In 2005, we began a corporate-wide Environmental Management System (EMS) initiative. This comprehensive, planned approach to improving our environmental performance resulted, in 2006, in certification of all of our Operating Lines and ships in accordance with the ISO14001 standard. 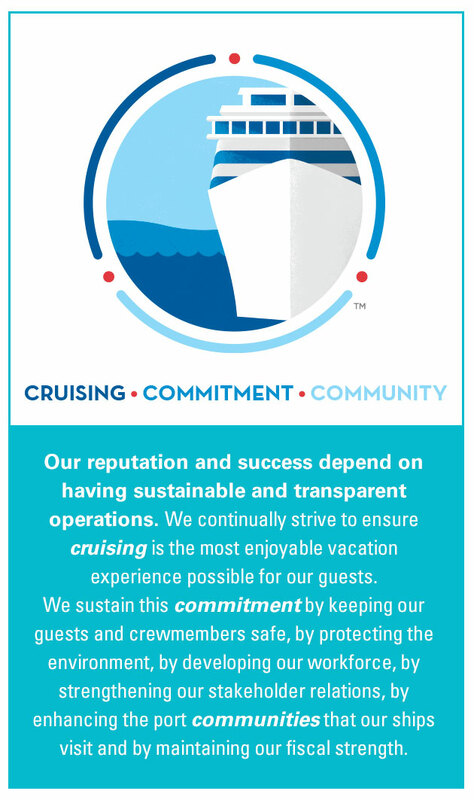 Each Line’s EMS outlines our commitment to compliance with applicable environmental legislation and regulations, and lays the groundwork for addressing the immediate and long-term environmental impacts of our cruises on the ocean, the air, and the natural habitat of our destinations. In 2008, we expanded our commitment to transparency by deciding to publicly disclose the environmental, social and governance performance of each of our lines, using the internationally recognized Global Reporting Initiative (GRI) framework, to augment the annual Environmental Management reporting effort that we began in 2005. Set the record straight on how we manage the environmental and other sustainability impacts of our operations. These reports also help us to focus energy on our sustainability direction for each Operating Line as well as for the Corporation, so that we can continue to build upon the multi-year momentum of our sustainability activities.